July 08 to 13, 1963. 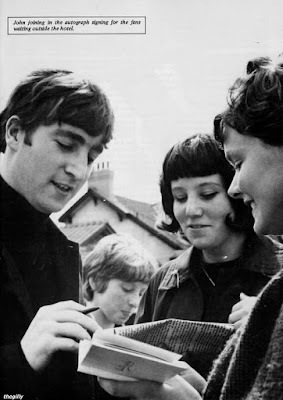 John signing autographs in Margate, Kent. Photo by Leslie Bryce.